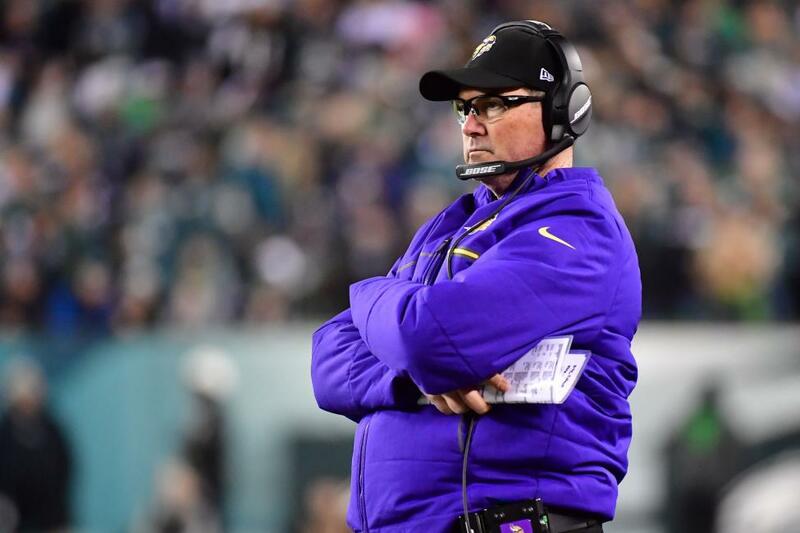 Zimmer, Minnesota's defensive-minded head coach, told everyone who would listen that Buffalo's defensive line was better than it was being given credit for after two lopsided losses to begin the season. The Bills then used that defensive line to batter the Vikings' offensive line and pressure quarterback Kirk Cousins all day long in Sunday's 27-6 loss for Minnesota. "Their defensive line is really good," Zimmer said after the game. "I told our guys all week long. I said, 'This defensive line is going to come after you. They're not going to sit in there and read. They're going to come after and after you.' Then they were bringing a fifth guy quite a bit of times. They did a good job covering and we didn't make them pay any because of the way they were playing." Buffalo sacked Cousins four times -- after totaling four sacks in the first two games of the season against Philip Rivers and Joe Flacco -- and caused Cousins to fumble twice. According to Pro Football Focus, Minnesota allowed 29 pressures by Buffalo, including two sacks, three quarterback hits and 24 hurries. It was the most hurries of any NFL team in Week 3, according to Pro Football Focus. "I think we had a good feel for them going in," Vikings center Brett Jones said Monday of Buffalo. "Each and every week you're going to get something different from the defense. We've just got to be able to adapt each game and just keep moving forward. Flush this game and keep going forward." Minnesota has no time to dwell on Sunday's performance with a Thursday road game upcoming against the Los Angeles Rams. The offensive line doesn't have much time to prepare for another tough task. Aaron Donald, Ndamukong Suh and Los Angeles' talented defensive front are waiting. The Rams bring plenty of pressure, finishing fourth in the league in sacks last year. Los Angeles has just four sacks through three games this season but is allowing a league-low 12 points per game. It's sixth in total defense, giving up 296 yards per game. Edge rusher Robert Quinn was traded to the Miami Dolphins in March after 8.5 sacks last season for the Rams, who later signed Suh to bolster the defensive line in Los Angeles' 3-4 defense. Suh leads the Rams with four quarterback hits. Rookie outside linebacker Samson Ebukam, a fourth-round draft choice out of Eastern Washington, has three quarterback hits. And then there's Donald, the reigning NFL Defensive Player of the Year. "They've got playmakers," Vikings right tackle Rashod Hill said. "I just looked at the guys a little bit, the guys they have, the plays they make, the moves they make. I'm going to look at it today and get ready for them." Hill started Sunday against Buffalo but left the game early for the second straight week as he deals with a troublesome foot injury. Rookie Brian O'Neill replaced Hill again and played 47 snaps. Hill said he should be ready for Thursday's game. "We trust the guys," Hill said. "So whoever the unit is out there, we trust each one of us. It don't matter if it's two different guys changing out." Elflein could be ready to make a start, but he said he hasn't been told if he'll start Thursday. "I wanted to kind of test the waters a little bit," Elflein said. "Stamina felt good. I feel great now. It was good to get out there and get the feet wet again a little bit." If Elflein starts, it's possible Jones could move to guard. Jones started at center and guard last year for the New York Giants but has focused mainly at center since coming to Minnesota in a preseason trade. "I think it's still early in the week," Jones said. "I'm just here to do my job and whatever they need me to do. So, going forward, that's what I'll do. Whatever they need me to do, I'll be out there to do it."